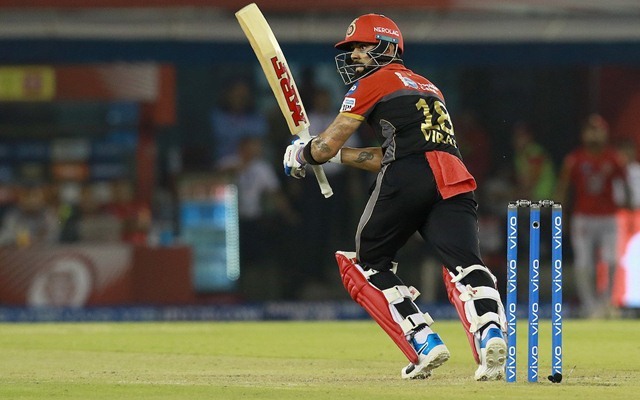 After six consecutive defeats, the Royal Challengers Bangalore (RCB) opened their account with an eight-wicket victory against the Kings XI Punjab (KXIP) at the PCA Stadium in Mohali. 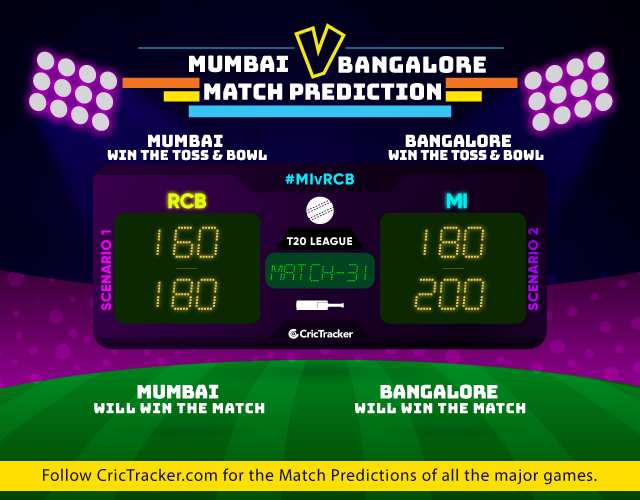 However, their road to the playoffs in this edition’s Indian Premier League (IPL) remains to be an arduous one as they need to win their next match as well against the Mumbai Indians (MI) at the Wankhede Stadium in Mumbai. Mumbai, on the contrary, lost against the Rajasthan Royals (RR) at home in a last-over thriller. Rohit Sharma and Co are on the third spot of the points table. They would want another victory under their belt to strengthen their chances of going into the playoffs. As far as head to head is concerned, Mumbai are way ahead with a 17-9 record. At the Wankhede, MI have emerged victorious in five matches. The hosts make rope in Lasith Malinga in place of Alzarri Joseph, who suffered a shoulder injury in the previous match. De Kock and Rohit will continue to open with Suryakumar Yadav at three. Kishan would be keen to deliver this time. The onus would be on Pollard and Hardik Pandya in the middle order. Bumrah, Behrendorff and Malinga are the seamers. Krunal and Rahul Chahar are the spinners. The RCB aren’t likely to make many changes. Only Washington Sundar may come in place of Pawan Negi. Parthiv Patel and skipper Virat Kohli will commence proceedings with the bat. A lot would also depend on AB de Villiers and Moeen Ali. The bowling lineup has Mohammed Siraj, Navdeep Saini and Umesh Yadav. Leg spinner Yuzvendra Chahal has to make the necessary breakthroughs.